One drink that reduces diabetes and reduces blood pressure. If a drink solves a lot of health problems, then how? Thinking how is it possible? It is possible, a drink reduces blood pressure, reduces diabetes, and even burns fat in this one's drinking body! It helps to reduce excess weight by increasing body metabolism. Let's know if the witch is the way to make this drink. 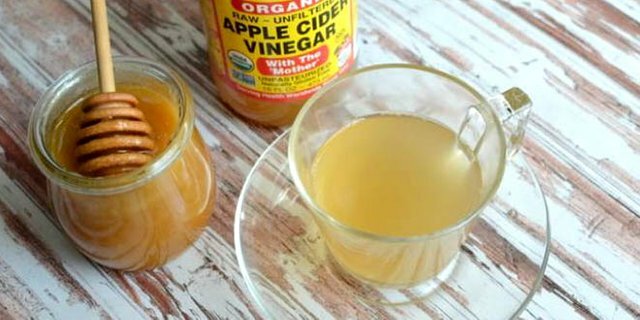 Take apple sider vinegar in a bowl. Mix lemon juice, honey and cinnamon powder with a thick paste. Mix this paste with a glass of water well. Drink this in an empty stomach every morning. Apple sider vinegar contains plenty of enzymes and good bacteria. Which increases digestion and increases metabolism. Acetic acid in it reduces blood pressure by up to 6%. Vitamin C rich lemon disease increases immunity. It controls blood sugar by keeping the blood level in the blood. Honey in various medicinal properties eliminates the problem of lung disease, skin problems, glyconological problems, cold, cardiovascular disease. It also helps to reduce weight by increasing metabolism. The cinnamon's antioxidant material helps to reduce diabetes by controlling blood sugar.